Alexandriah Stahr offers a variety of Spiritual Consultations and Healings which includes both giving you understanding of what issues she sees and the healing needed. Alexandriah is a Spiritual Healer and Spiritual Development Teacher NOT a psychic who does “cold readings” and predicts your future. A Spiritual Consultation and Healing with Alexandriah consists of a phone conversation where you share what is going on with you from your point of view so that she can focus and see deeply into what is clairvoyantly visible to her as well as tune into the energy of the issue you are dealing with. Based on that focus, Alexandriah can both tune in with her guides and draw on her over 30 years of experience to give you the answers and solutions you seek. If after identifying what the issue is and what the solution will entail, Alexandriah may advise you of additional donation needed to complete the process. Alexandriah Stahr is a master level healer and spiritual development teacher. She is a versatile channel with over 30 years’ experience in channeling Ashtar Command Spiritual Healing Technologies and Ashtar Command Ascension Information from Lord Sananda, Commander Ashtar and the Ashtar Command to assist in the spiritual freedom and development of Earth based Lightholders on the Ascension Path. As such, Alexandriah's particular area of expertise is in revealing the secret/truth behind the MATRIX and helping people get FREE from its influence. She has a vast knowledge of how things really work and has always imparted this knowledge to her private clients during their healing sessions. You can now access her knowledge separately during an Ashtar Command Spiritual Consultation and Healing Phone Session. As part of her expertise, she has always had the ability to discern Christ Vibration Healers and Teachers and giving people insight into what she refers to as "Guru Abuse." Do you have questions about a healer or healing modality that seems to be making your life worse not better? Ask Alexandriah, she can free you from Guru Abuse. Do you have questions about people in your life who are causing problems? Alexandriah can help you understand and clear Karmic Relationships with them. Relationships are the #1 reason new clients seek out Alexandriah's help. Although Alexandriah can help you better understand about Karmic Relationships, in order to clear them, you will need to do the 2 Week Fast Track first to both clear them and learn how to clear them yourself. Even after doing the 2 Week Fast Track, learning to deal with them is a skill that develops over time and sometimes requires Alexandriah’s experience to deal with as new Karmic Relationships arise later. 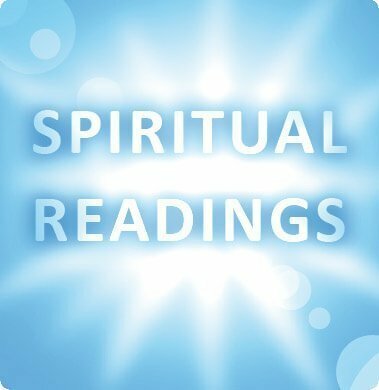 The following list is just a sampling of issues that routinely come up during Alexandriah’s Spiritual Consultations and Healings that Alexandriah can help you with. Spiritual Abuse Issues - recovering from working with dark force "spiritual healers"
Relationship Abuse - recovering from any type of abusive relationship, work, personal, legal etc. Once you prepay for your Spiritual Consultation and Healing Session, you will receive email confirmation and instructions on how to schedule your appointment time within 24 hours.